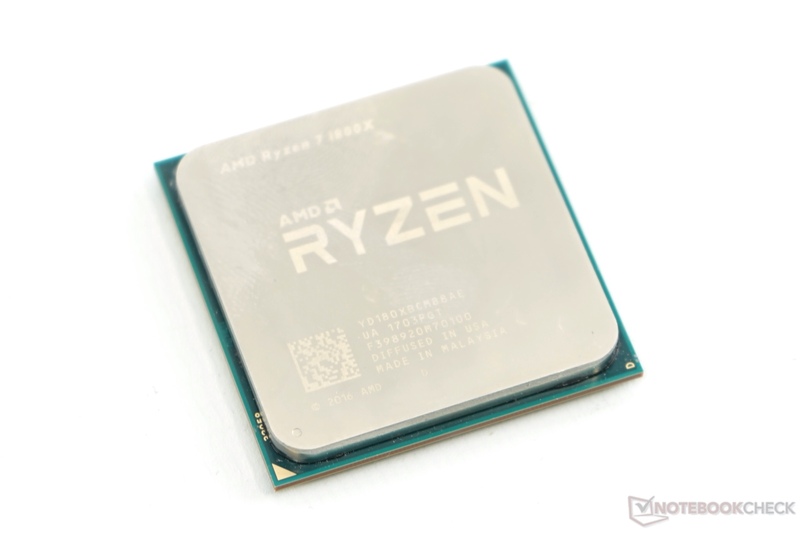 The AMD Ryzen 7 1700X is a fast desktop processor with 8 cores and SMT (16 threads) that was introduced in early 2017. It is based on the new Zen architecture and it is the second fastest model at the time of announcement. The CPU cores clock from 3.4 base speed up to 3.9 GHz (XFR). The 2-core Turbo is specified at 3.8 GHz and using all 8 cores, the CPU can reach up to 3.5 GHz. Therefore, the CPU offers 200 MHz less than the Ryzen 7 1800X at the same TDP. The performance in applications that can make use of all 8 cores is very competitive to high end Intel CPUs at a very good price point. However, non optimized apps like many games can't make full use of the new architecture. A detailed look at the new Ryzen 7 1800X, 1700X and 1700 can be found in our review (upcoming).